I'm using Buildroot 2018.02 to create a custom Linux to run my raspberry pi 3. I'm trying to display a pygame window on the external hdmi screen from command line. So far, I've been able to boot the pi3 with the default configuration running make raspberrypi3_defconfig, I've just changed the toolchain to use glibc instead of uClibc-ng. The rpi boot well, I can log as root using a FTDI cable. After reflashing, the rpi boots well and I can connect through ssh. At this moment nothing is printed on the hdmi screen. If I open a pygame window running a python3 shell nothing happens. I have then enabled X.org X Window System with the following configuration. However if I run again the python instructions above, the screen become totally black. If I quit the python shell, the screen returns to the picture state. I have also tried after exporting display with export DISPLAY=:0.0 but with the same result. 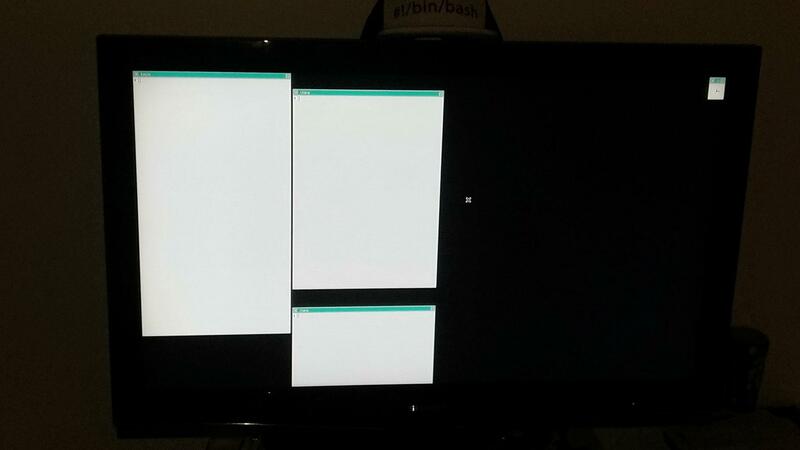 If I don't run startx the result is the same except that console log replace the windows on the picture. What else could I do to be able to display a pygame window from command line ? Pygame is not a framework where button, frame and windows are already defined. It is a more low level access to the framebuffer. To use pygame with the framebuffer you should write something into it. Basically, your program only declares the screen (which is initially black) and... do nothing else. You should use blit to write/place texts and images to the framebuffer. Then call flip to actually show/render your screen. Not the answer you're looking for? Browse other questions tagged pi-3 linux xorg pygame buildroot or ask your own question.